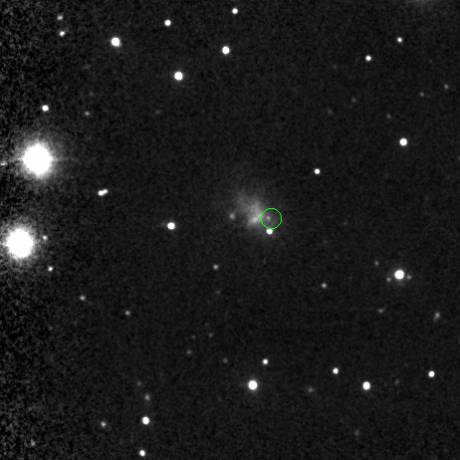 In a find that could potentially upset the current classification model employed in the astronomical community to identify a supernova explosion, researchers have discovered what appears to be a new class of supernova altogether, one that is dimmer and smaller than previously though possible. Astronomers working with the Calar Alto Observatory made the find in late 2008, and the results were published just recently in the latest issue of the famous journal Nature. Usually, supernovae are believed to be produced when a massive star reaches the end of its burning cycle. Core-collapse supernovae are the most common kind, and they occur when massive stars, of up to eight times the mass of our Sun, reach the end of their life cycle. When that happens, and their hydrogen supply runs out, their core collapses onto itself, and creates either a neutron star or a black hole. The outermost layers of the star are at the same time expelled outwards at speeds reaching up to one tenth the speed of light, and become very bright in the process. They shine with the full force of billions of stars, and let loose an energy level that far surpasses all of the energy our Sun ever gave, gives, or will give during its 10-billion-year life span. However, when hydrogen is present in the mix, the energy levels and luminosities of exploding supernovae can be up to 100 times lower than in regular collapses. In the new celestial body that astronomers found, which has been dubbed SN 2008ha, there was no trace of hydrogen to explain its lack of luminosity or energy. This find, if not explained, could shed doubt on the validity of the existing supernovae classification model. According to this model, at this point, what exists in the sky shouldn’t happen, PhysOrg informs. Among the researchers in the international team that conducted the Nature study were also experts from the Max Planck Institute for Astrophysics, in Germany, and the National Institute for Astrophysics, in Italy. The whole effort was led by Italian astronomer Stefano Valenti, a scientist at the Queen’s University in Belfast, the United Kingdom. The actual data were collected by the Calar Alto Observatory, the Telescopio Nazionale Galileo (TNG), the Nordic Optical Telescope (NOT), and the Liverpool Telescope, all of them in Spain, as well as by the Copernico Telescope, in Italy.